A few weeks back in February people were actually strolling around in sandals, shorts and tees and dining al fresco. Then March rolled in. It’s gotten chillier by the day, and while I’m dying to break out my favorite new Spring pieces, it’s still too soon to do it from head-to-toe. 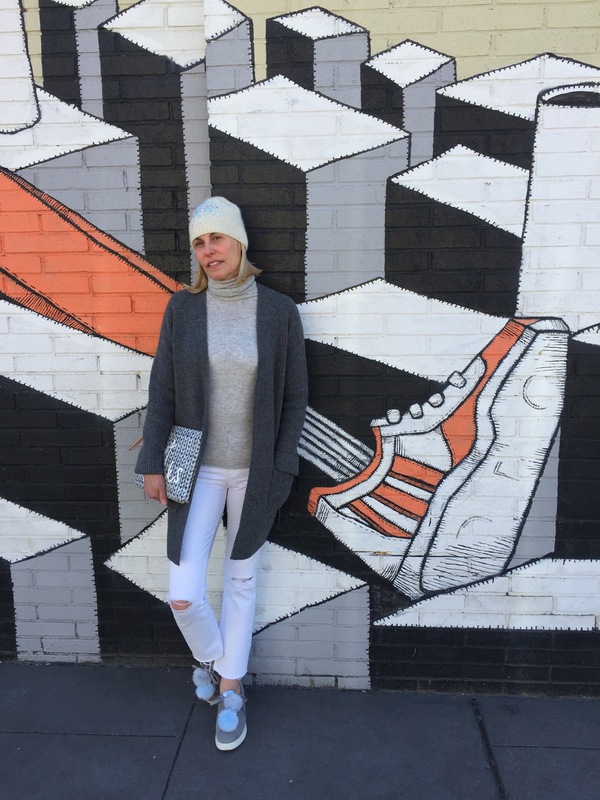 But…you can mix in the new (long cardigan, pom pom sneakers and white jeans) with cozier layers you already own (turtleneck sweater, cashmere beanie).